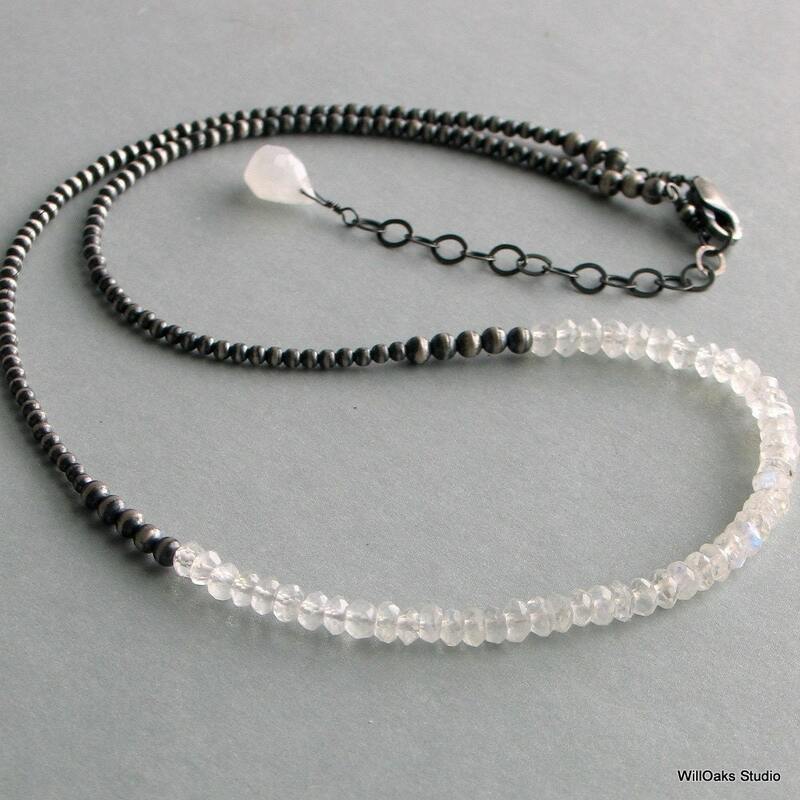 Five inches of dainty faceted moonstones and a handmade oxidized sterling silver beaded chain, a light and dark play on sterling silver. 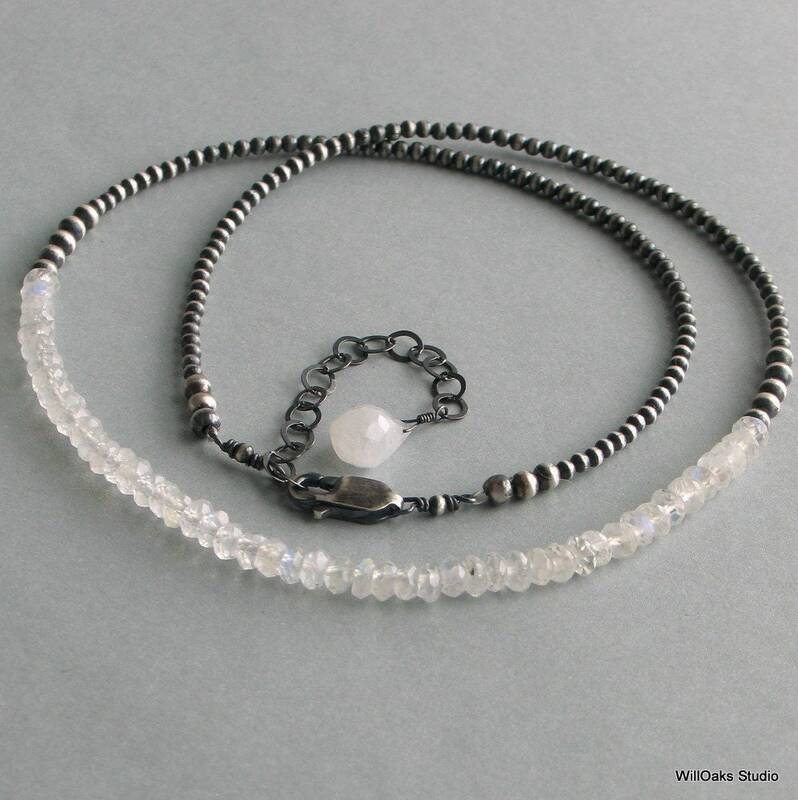 Moonstones are an accessory that can cross seasons, with their cool mysterious inner glow and clean white sparkle. This necklace was created to become an heirloom piece with an elegant, minimal classic design that will never go out of fashion. Perfect alone and for layering with pendants and other pieces. 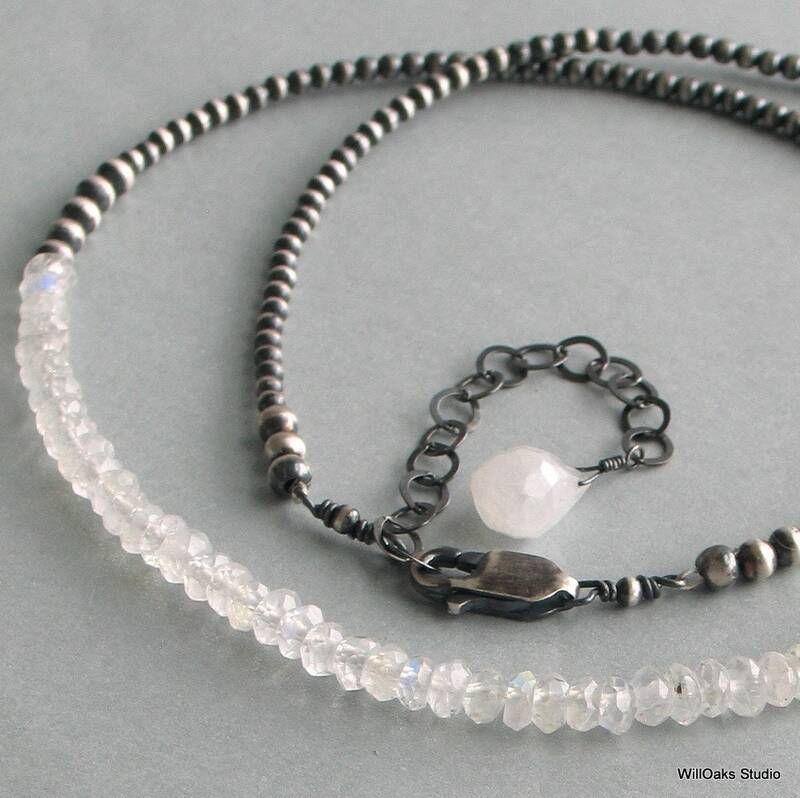 Hand oxidized sterling silver beads are selectively buffed to create a unique "chain" which adjusts from 16 1/2" to 18 1/2" long, closing with a sterling silver clasp and an extension chain. 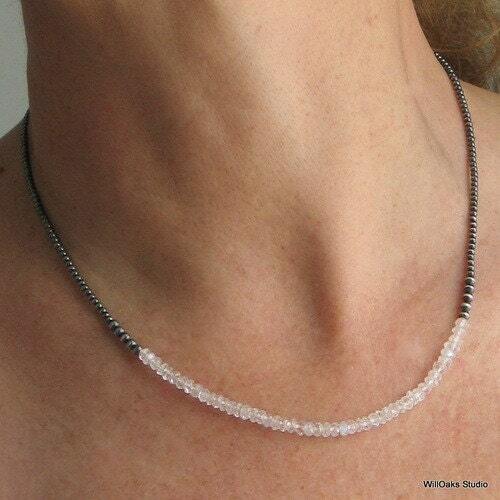 A final moonstone briolette dangles from the end of the extender. This demure, very comfortable design works well with many different necklines and the facets do create a wonderful sparkle when they capture light. 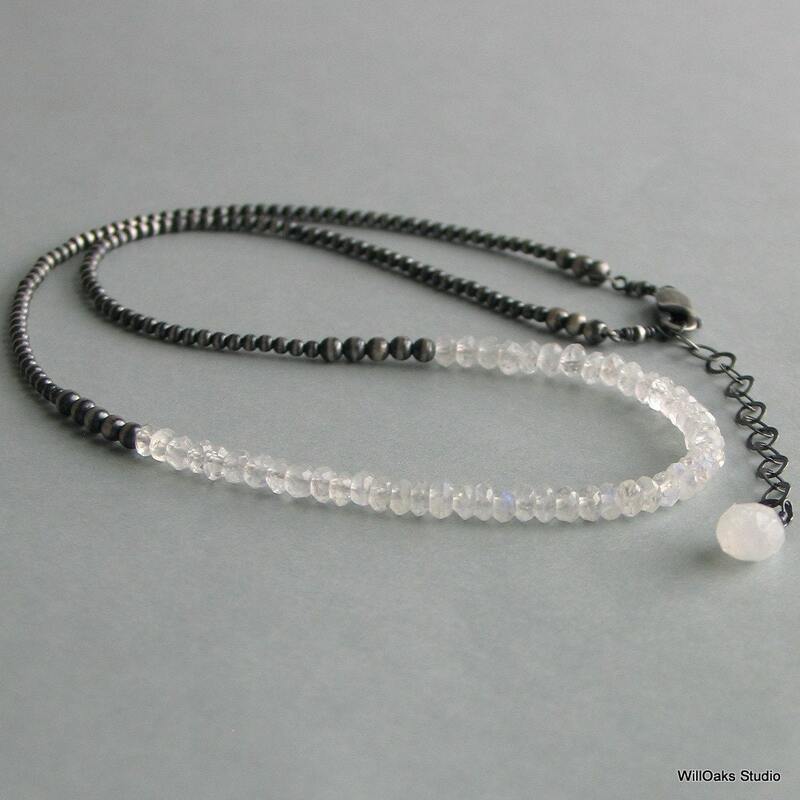 The faceted, natural stones are 4 mm wide and the "beaded chain" uses both 3 mm and 2 mm sterling beads. And there is a lot more where that came from in my shop here - https://www.etsy.com/shop/WillOaksStudio & Thanks for stopping by!